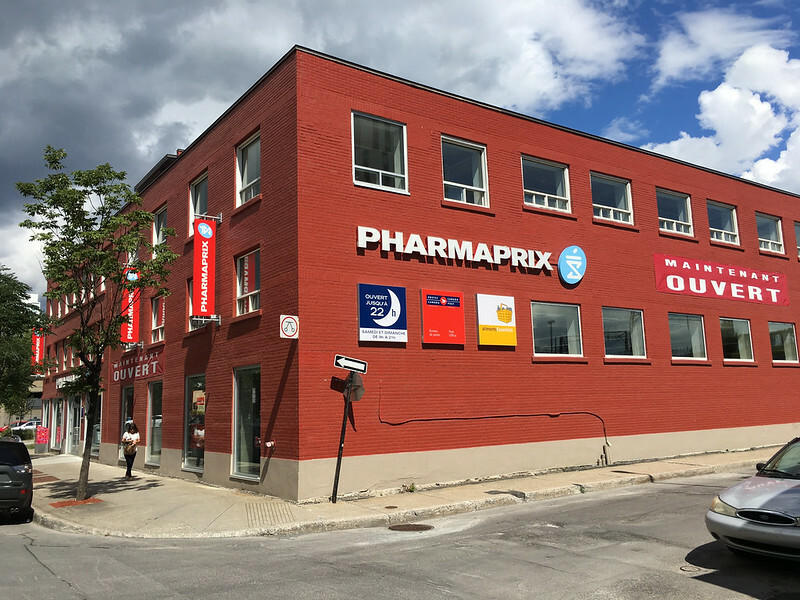 A new Pharmaprix in Griffintown. Before, the borough was almost devoid of any popular businesses or banks, certainly the whole Peel - Wellington area at least. Now this same area is teeming with new shops, restaurants and even banks. Will the new citizens of Griffintown sustain all of these businesses? We will have to wait and see. Un nouveau Pharmaprix à Griffintown. Avant, cet arrondisement était presque dépourvue de commerces populaires ou des banques, surtout dans le coin de Peel - Wellington au moins. Ce quartier a maintenant de nouveaux magasins, restaurants et même des banques. Les nouveaux citoyens de Griffintown vont-ils soutenir toutes ces commerces? Nous devrons attendre et voir.